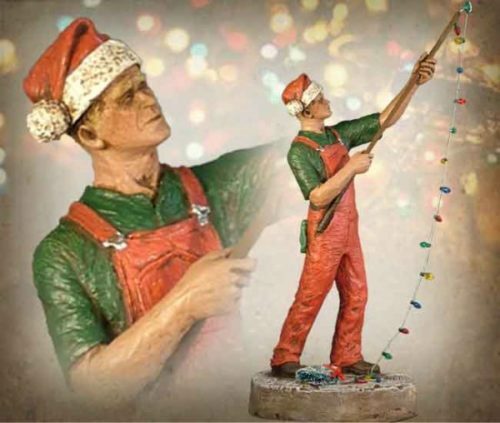 Each Holiday season, hanging Christmas lights is a rite of passage for most American fathers. 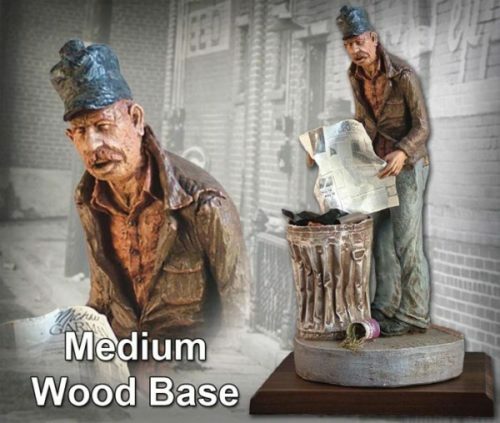 This handmade sculpture by Michael Garman celebrates Dad – our favorite American hero. 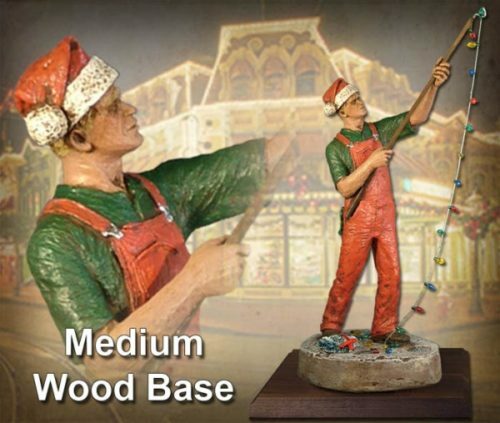 Sculpture measures 14.5″ tall. ©1991/2010. Handpainted finish. #MG898.